Vocanic has been appointed by four brands – namely Perfect Italiano, The Singleton, Johnnie Walker and the People’s Association (PA). The agency will be responsible for content strategy and production, as well as community management for Perfect Italiano, The Singleton and Johnnie Walker. Meanwhile, it will lead pivotal social media campaigns surrounding the themes of social cohesion and racial harmony for People’s Association. This will be done jointly with GroupM and its Central Media Services (CMS) division. PA’s search for a social media agency first started in June. It will also be Vocanic’s first public sector client. The new wins is an extension of Vocanic’s stable of clients which includes Fonterra, the New Zealand-based dairy co-operative that holds Perfect Italiano, Diageo, the world-renowned producer of spirits including The Singleton, and Moët Hennessy Diageo, whose wide portfolio includes Johnnie Walker. “We’re definitely not resting on our laurels. We’re constantly working to expand our reach – not just in Singapore, but across the region. The kind of creative, social and digital solutions that Vocanic provides will push brands that work with us to the forefront of the modern, superconnected marketplace,” Niky Sakhrani, Vocanic’s business development director, said. In May, Vocanic appointed Shreeniwas V Iyer (pictured) as its new chief executive officer. 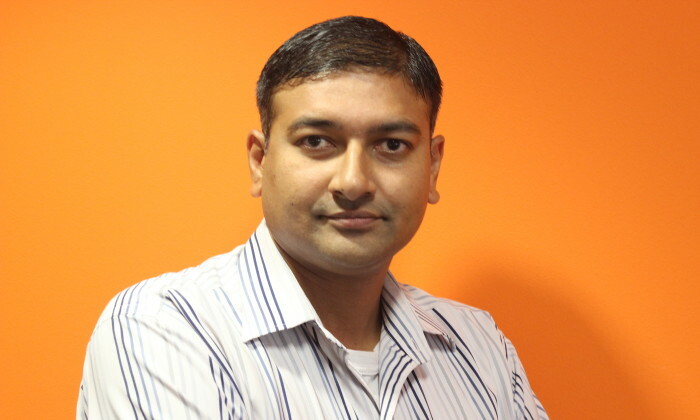 Iyer was previously chief technology officer of the agency and has been with the agency for over five years. Unilever's Axe has launched a new fragrance- Anarchy, this time around for both men and women with extensive marketing plans globa..
IDA said it was “disappointed that such marketing tactics have been employed by Singtel.”.. The Open University of Hong Kong has partnered with language enthusiast Uncle Siu and rolled out a campaign called "Keep Leaning" ..